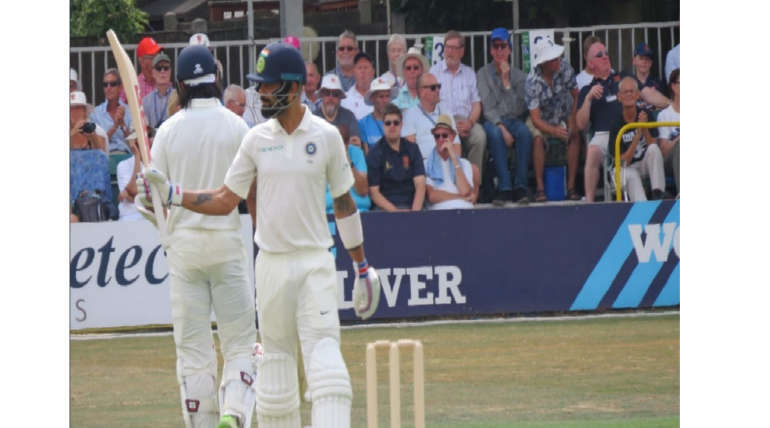 India is currently playing a 3-day warm-up match against Essex domestic team before the start of the England Test series and after Virat won the toss and chose to bat, India had a poor start on the crease by losing early wickets. India lost wickets of Dhawan, Pujara and Rahane in first 6 overs and was struggling to build a partnership. Meanwhile, Virat Kohli and Vijay stood as saviours for India after a bad start and built a good partnership to start with a strong middle order. Then Rahul and Dinesh Karthik took charge and placed another solid partnership which led India to touch 300 runs and along with Hardik Pandya's fifty accompanied by Rishab Pant in the crease India lost all the wickets in the first session of Day 2. Indian team posted a decent score of 395 runs in around 100 overs which is a good total comparing to the kind of start India had. Dinesh Karthik scored highest runs for India with 82 runs, followed by half-centuries from Rahul, Kohli, Vijay and Hardik that helped India to post a decent score. 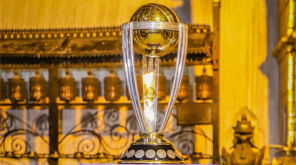 Indian team is next up to bowl and test the pitch of England. 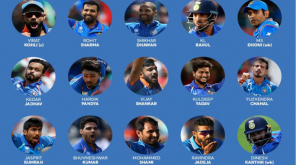 It is going to be a nail-biter to watch India defend a total of 395 with an experienced bowling attack with almost 5 sessions remaining and it would be interesting to see the performance of Indian bowlers against the county batsmen of England.